Parthenon Broccoli is known all over the world for its exceptional quality and versatility as well as a yield potential that outshine most broccoli varieties. Parthenon has once again done Sakata proud when it was recently harvested at Dew Valley Farm (which is part of Dew Crisp). 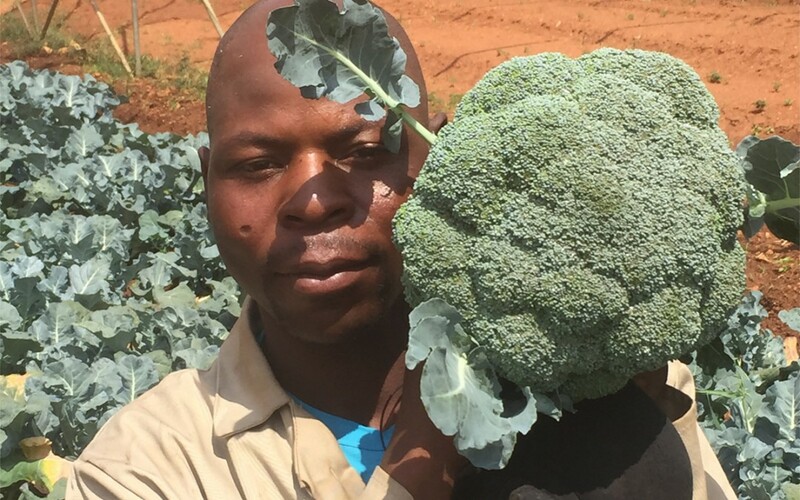 Pencil, one of the farm workers at Dew Valley Farm is holding one of the heads just after it was harvested. Parthenon’s excellent adaptability, reliability, quality and high yields make this variety the first choice for both fresh market and processing.